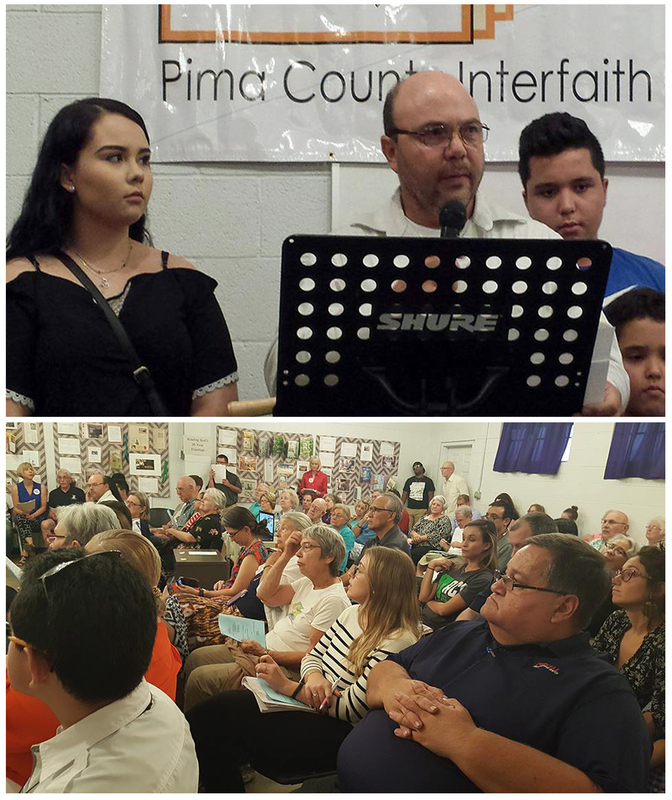 125 Pima County Interfaith resident leaders of Ward 3 Tucson assembled and secured commitments from primary candidates Felicia Chew, Paul Durham and Tom Tronsdal. The session was organized by Pima County Interfaith Civic Education Organization, Southern Arizona Interfaith (SAI) and Literacy Connects. All three candidates pledged to support keeping Tucson an Immigrant Welcoming city, to support PCI efforts to fight SPICE and other drugs in Ward 3, and to meet with the organizations if elected. Candidates Chew and Tronsdal committed to increasing funding for KidCo and JobPath, keeping low-income bus fares at their current level, and protecting the number of bus routes. Attendees committed to vote, get others to vote, and to knock on doors in Ward 3 neighborhoods. Two "Neighbor to Neighbor - Walk & Call" sessions have already been scheduled.